Scroll down to Approvals, and click Install. 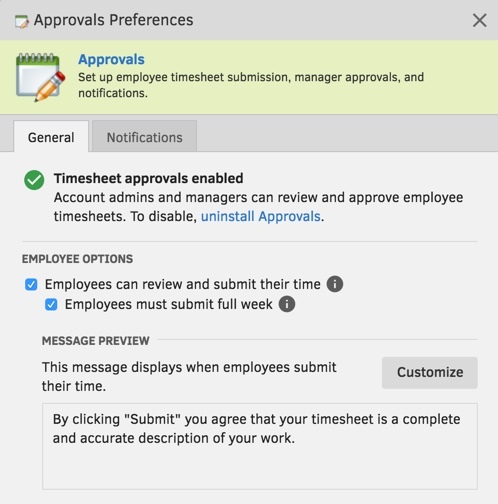 In the Approvals Preferences window, on the General tab, make your selections, and (optional) customize the message seen when employees submit their timesheets. (Optional) On the Notifications tab, set employee timesheet submission and manager approval reminders.